This is something I keep experiencing for a couple weeks now: I can connect the Airdroid app on my Nexus 10 to my wifi network to do a file transfer from PC to Nexus. I hit Start and then it connects. 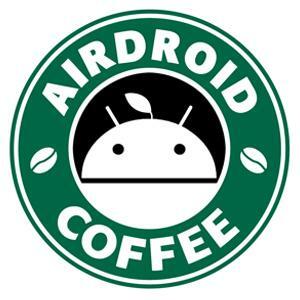 But after a while my Airdroid app disconnects from the network. Was there a change of settings in recent app updates I am not aware of? Or is there an error? In the oast it stayed on my network forever. Why does Airdroid not stay online anymore? It used to work in the past; now it doesn't anymore. The charme of wireless file transfer has been that I didn't have to have my Nexus right with me in order to do a file transfer. Now I have to have it in order to turn Airdroid's WiFi connection on. Not the end of the world but certainly a loss of convenience. Your phone is connected to mobile network or Wi-Fi network? You may check this guide to see if it helps: [Help & FAQ] Why AirDroid Disconnect Constantly? The Nexus is on WiFi only. Thanks for getting me the link to the FAQ for constant disconnect. I checked and it might be the power saving mode. I've turned that off and will see how that works. Thanks again! Power savings mode turned off helped. Thanks for the advice!